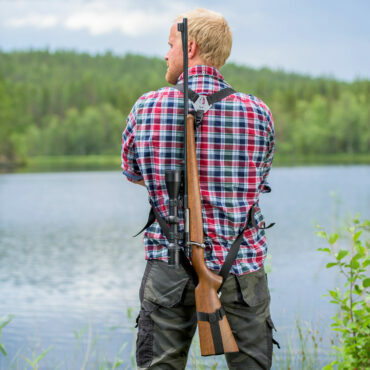 This rifle harness provides stability and is suitable for most types of hunting. 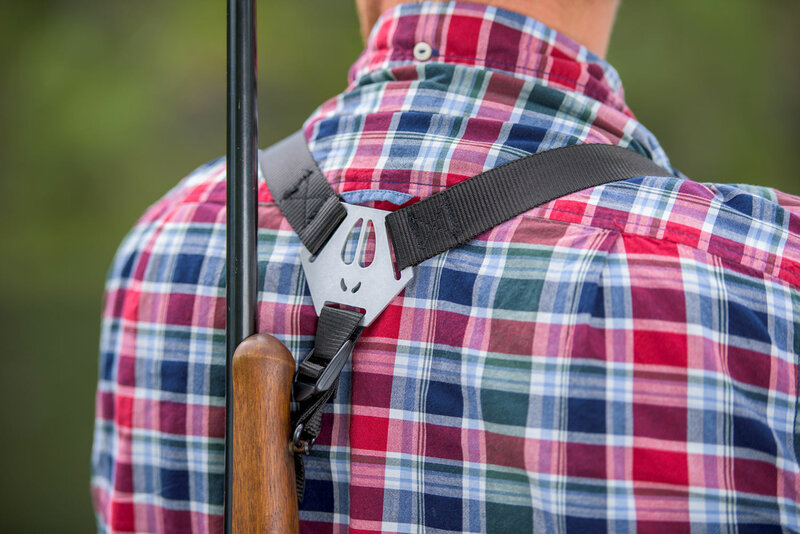 The harness is adjustable to fit rifles (and hunters) of varios length and height. 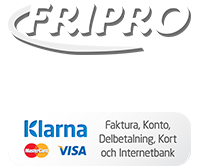 It is made of light and strong polyester straps which make it comfortable and easy to use. 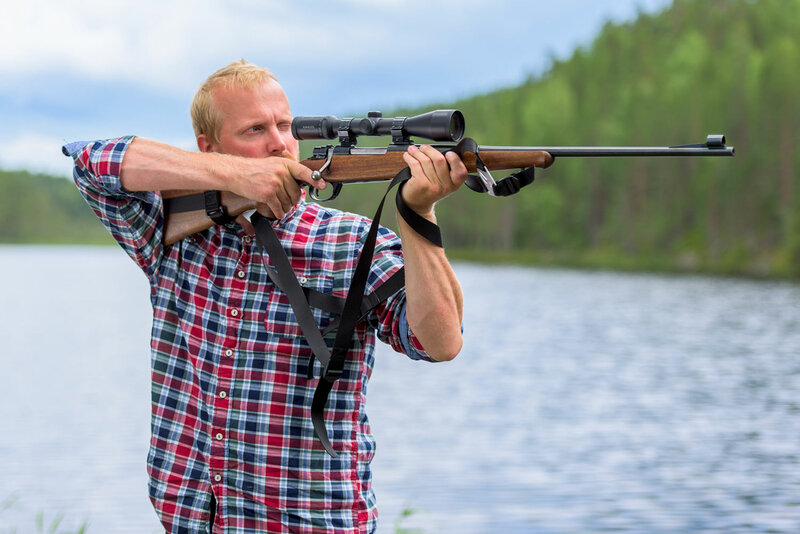 The shape makes your rifle stay in place on your back even when performing large and unusual movements and the straps lets it slide off your shulders when youy quickly need to change from transport to a shooting stance. 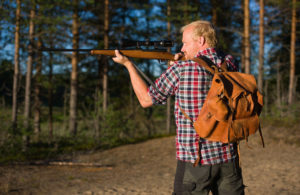 If you're looking for a gunsling that can be used simultanously with a backpack while enabling very fast transition from transport to shooting stance, please take a look at our Quickshooter series of gunslings.